Police are searching for a man who tried to lure two girls from a pool to have food and drinks with him over the weekend. 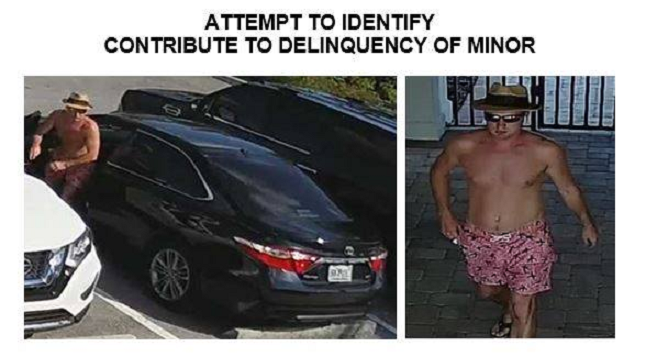 North Port Police Department responded to the Cedar Grove Pool over the weekend about a suspect who tried to lure two girls into having food and drinks with him, according to the press release. The girls refused and police were contacted. The suspect, a white male, is described as having a thick German or Russian accent. If you have any information, please contact Detective Chris Maki. His number is (941) 429-7323.